Ten years ago we started our ATV Rider’s Choice Awards. ATVing has changed a lot in those years, with more powerful machines, advanced technologies and greater choice in models. The landscape has also changed, with more local clubs forming to help lay out and maintain trails. That begs the question: where should you ride? 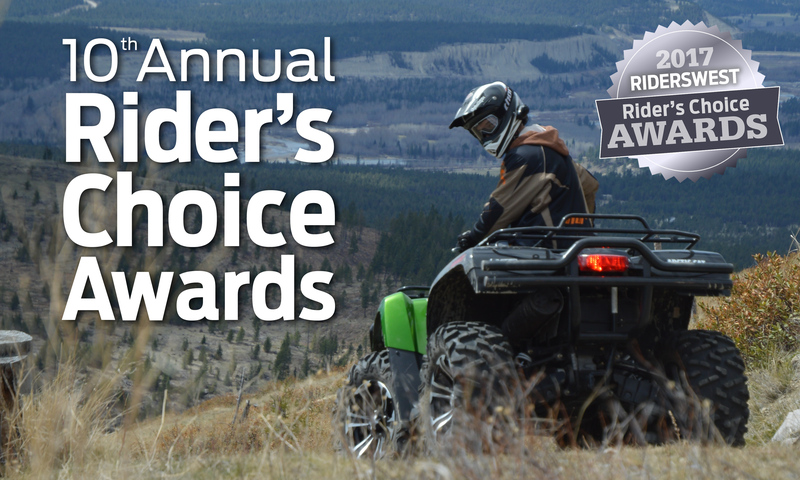 Below are some great suggestions on exceptional riding areas in Western Canada tabulated from our last three years’ worth of award nominations—the best of the best! And while you’re out there on your trip, we also have included ideas on campgrounds, hotels and restaurants. Whether you want easier, family excursions or the thrill of challenging ATV rides, we’ve got you covered. So grab some throttle and have fun. After all, it is the season!